Federal agents drop a political bombshell with surprise raids on the offices of 14th Ward Ald. Ed Burke, the second most powerful man at City Hall. Burke, who heads up the City Council Finance Committee, has previously been under federal investigation, but the raid could have implications for his re-election campaign. Twenty-one candidates officially file petitions to become Chicago’s next mayor, but signature challenges could doom the candidacy of some prominent names. A shocking comment from a Democratic state representative to a Republican colleague draws strong rebuke and she’s forced to apologize. Week one of the trial of three cops accused of covering up details of the Laquan McDonald shooting wraps up after three days of testimony. ComEd struggles to restart power to homes and schools after a wicked Thanksgiving weekend snowstorm. And in sports: The Bears reportedly won’t play quarterback Mitch Trubisky, who still hasn’t thrown a football since injuring his shoulder, the team purportedly resting him for a playoff push. And Northwestern is heading to its first Big Ten Championship football game against powerhouse Ohio State on Saturday. The conversation continues in our web-extra video. 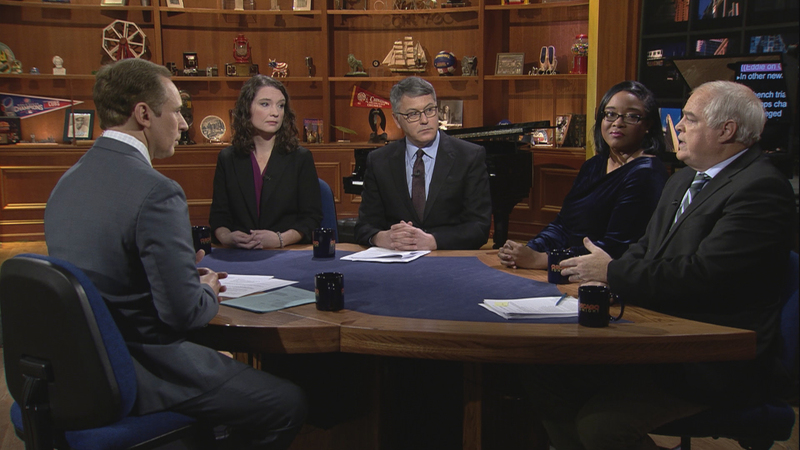 This week, Arruza and guests discuss the Lincoln Yards development plan. Will new design tweaks be enough to win over neighbors?